This stunning wide ring wide band for woman is set with spinnel zircons - their size is 2mm and 4 mm . These rings are 1.5 cm wide . The Spinner rings made in silver & gold are famous from Australia to California, from Madrid to Stockoholm. Sterling Silver 925 and solid gold in 9 carat are used to create this designer handmade vintage look spinner rings. 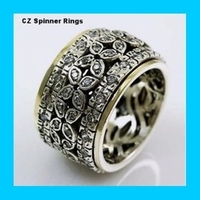 This amazing ring is created by several smaller bands that spin on a sterling silver base ring. 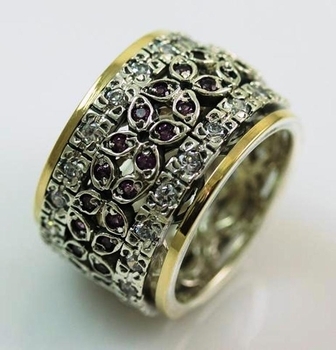 The ring design is inspired by the beauty of vintage style jewelry. The ring fits both special events and everyday wear. Construction & Dimensions: Sterling silver, gold. Spinnel zircons. We can make any size, including quarter sizes. For this wider band, we suggest adding .25 to you current thin ring size. Please just indicate the requested size in the order. Please email us the details regarding the ring's size. About Bluenoemi jewelry - Rings Bluenoemi offers an exciting collection, designed and made by Bluenoemi designers especially for occasions: wedding, engagement and cocktail and for everyday use. 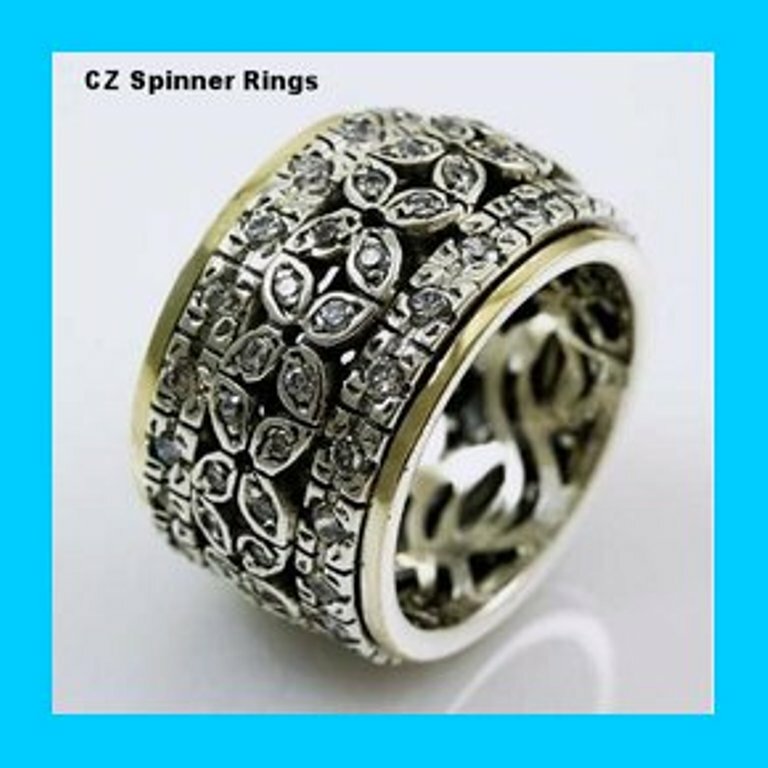 You can find a selection of rich spinner rings, sterling silver rings, silver and gold rings and gemstone designs.